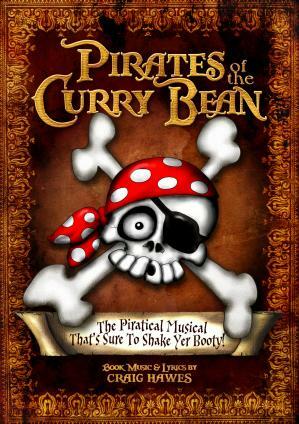 "Simply good the year 4s loved performing they would love to do it again "
"We have just had the most fantastic few days performing Pirates of the Curry Bean. The script is hilarious, the songs very catchy, and the digital backdrops were amazing. Such good feedback from the audience. Craig Hawes, you are a genius!" "When told the theme of this year's musical involved pirates , my students were in! A hilarious script, amazing songs, fun dance numbers and simple set changes make for a fantastic experience for students and director. Long after the final curtain call we are still humming those tunes! Cheers to Craig Hawes for making this possible and here's to hoping he keeps on writing more hits! " "Love rehearsals, It's so much fun! Our year 6 class is doing it for our leavers' assembly. Everyone's having a laugh, its brilliant! " "I love this play. We're doing it as our Leavers' Play at the end of Y6. In the play, I'm playing the character 'Liza Periwinkle', I'm excited to do the full thing! " "So Funny! Rehearsals have been great! I play Mr. Pratt and I loved it! Songs are easy to learn. Thank You!" ""Amazing!" I am learning the play at the moment and I am loving rehearsals. In the play i am playing the character "Deadeye Dinghy". I Love It!" "What a fab show! Put together in two weeks by our amazing Key Stage 2 team, the show was flexible enough to provide speaking/acting roles for all 70 pupils in years five and six. Very witty script with jokes for children of all ages and catchy singable songs, sung with gusto by the year 3/4 choir. The children and audience had a ball and It made an ideal Panto. Looking forward to something new for next year?! Thanks so much - a Teacher's dream!"